Cardington is a town in Bedfordshire. It is famous for two things: 1st World War Airships and training driving test examiners. Driving Instructors do not test candidates – it would leave the system open to abuse. Examiners are trained and employed by the Driving Standards Agency to examine your driving and ensure you have achieved the minimum standard of driving as prescribed by the government. In a nutshell, instructors’ train you and examiners’ make sure we have done our job properly. 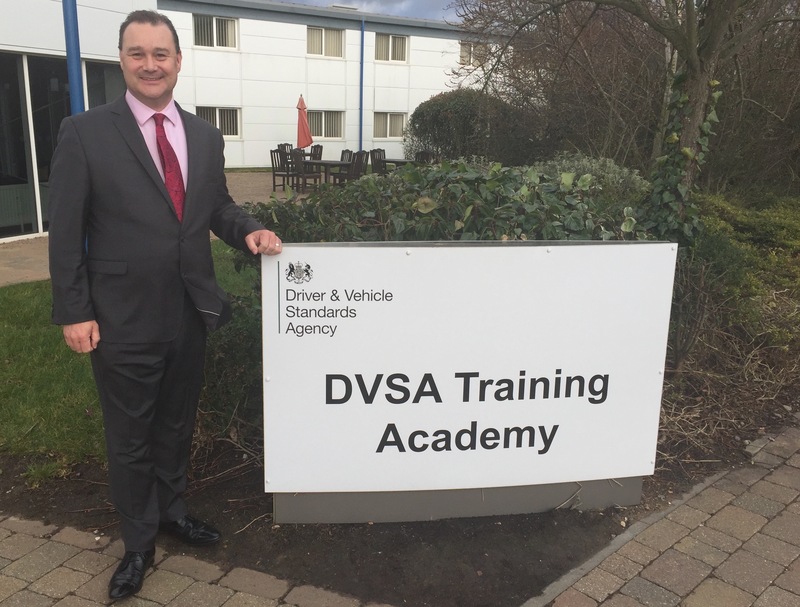 In 2016, I visited the DVSA Training Academy for the second time. The day begins with orientation and an overview of what is expected of anyone applying to become an examiner. For the record, one does not have to be an instructor first. Applicants come from all walks of life. The only requirement is that they must pass the Cardington ‘Special’ Driving Test. The test is rigorous, as one would expect and those falling short are quickly sent packing! A further requirement is to be assessed for customer service abilities and applicants are placed in hypothetical situations with ‘actors’ and assessed accordingly. On passing both tests, an applicant may be called forward for training. Training takes around 4 weeks and the course is highly intensive. Trainees live in at the £multi-million Academy during the week and return home at weekends. Testing is ongoing and rigorous. Again, those not making the grade are either given further training or asked to leave. Standards are very high – they have to be. On passing the course, a trainee examiner deploys to their chosen test centre, where they begin their new role as an examiner. Examiners continue to be monitored on a monthly basis, with the Test Centre Manager sitting in on tests to ensure that standards are maintained. Attending the Academy was insightful and instilled a great deal of confidence in me that your interests are being well looked after. It was also very useful to see and better understand the process of marking tests and how various marking criteria is applied. On a day-to-day basis, this helps me to conduct mock tests more efficiently and with greater understanding. Whilst I have never taught anyone to pass a test, a better understanding of how they work cannot be a bad thing. I won’t be visiting Cardington again. Having attended twice in the last 13 years, there is only so much I can learn from a guided tour and nothing much had changed from the first visit, either. I would, however, encourage colleagues to go. I would also like to convey to those learning to drive that you are in very good hands.